In another effort to get attention off of her email server debacle and on to her campaigning in the politically important state of Ohio on Thursday, Hillary Clinton compared Republican candidates to extremist terrorist groups. 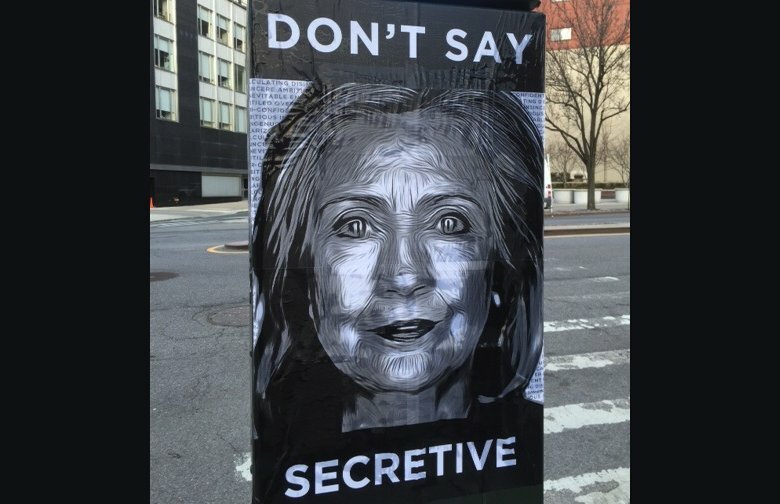 Many intelligence and law enforcement officers believe this is an intentionally-created controversy in order to take some of the wind out of the sails of a letter sent to Secretary of State John Kerry about Clinton’s slipshod treatment of national secrets during her tenure in the Obama administration. While many lawmakers on both sides of the aisle indicated she may have gone too far in using Islamic terrorism to make her point, the news media gave Clinton a pass on her over-the-top remarks. “Extreme views about women — we expect that from some of the terrorist groups. We expect that from people who don’t want to live in the modern world. But it’s a little hard to take coming from Republicans who want to be the president of the United States,” Clinton said. Regardless of Clinton’s campaigning and her vitriolic remarks, GOP Senator Chuck Grassley, Chairman of the Senate Judiciary Committee, has increased the intensity of his own battle with Clinton and her minions over his attempts to learn how top secret classified information was allowed to be transferred on insecure communication lines. He also claims the possession of this classified material on improperly secured storage devices, whether it be Hillary Clinton’s home Internet server, servers owned by the Colorado firm that installed her home system, and so-called thumb drives she turned over to her attorney, David Kendall. Kendall’s response to Grassley noted that he and his law partner were given top secret clearances from State Department officials in November and December of last year. In December 2014, Kendall and other unnamed attorneys sent Hillary Clinton’s emails to the State Department. Kendall claims that he and his colleagues obtained security clearances, “in order to be able to review documents at the Department of State, to assist former Secretary Clinton in preparing to testify before the House Select Committee on Benghazi.” Yet, his office retained electronic copies of the emails, rather than turning over all copies to the State Department. “Here’s the gist of this case: Hillary Clinton said that the email controversy has nothing to do with her. Well, if that’s true why did she ‘lawyer-up’ with her husband’s attorney and why did she turn over the thumb drives? And does anyone really believe a truth-deficient attorney is someone you want to have access to national security secrets? The whole case is a scam and the FBI is very timid in this investigation,” said former criminal investigator and organized crime analyst Stephen Sarrelli. “What I find most comical is Hillary Clinton comparing the GOP candidates to Islamist terrorists when it is she and her former boss President Obama who entertained Muslim extremists at the White House. And Clinton’s confidante Huma Abedin is accused of having family connections to the Muslim Brotherhood,” noted Sarrelli. “And I recall how Obama and Clinton called the Muslim Brotherhood ‘moderates’ when they were designated a terrorist organization by several Arab nations,” he added. On August 11, 2015, the Inspector General for the Intelligence Community notified congressional offices that two of the four emails contained information classified up to Top Secret/SCI/TK/NOFORN when generated. According to Kendall, neither he nor Turner had a clearance issued at that level from the State Department. Consistent with the understanding that Kendall and Turner’s classification was not sufficient, the FBI is now in custody of all thumb drives previously in their possession as well as the non-government server Clinton used for email during her tenure at the State Department.